The UK is scheduled to leave the European Union at 11pm on Friday 29 March 2019, followed by a further one-year transitionary period. 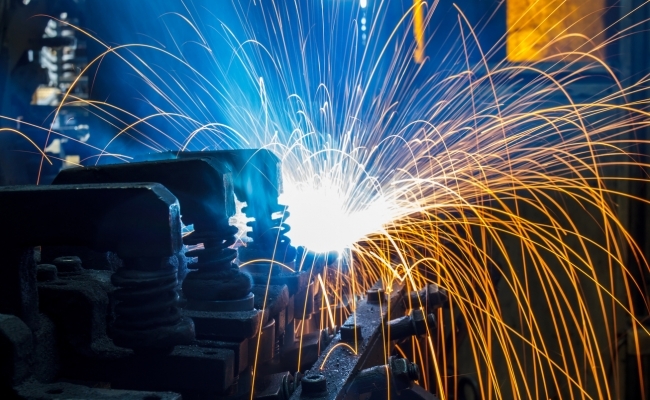 Will the UK’s manufacturing sector have to rely on a succession of bi-lateral trade agreements? Or could close associations with Germany hold the key? Clive Elleforde from Straker Translations explains more. Amid all the speculation and conjecture surrounding Brexit, none of us knows for sure how 2016’s vote will impact the UK’s manufacturing sector long-term. The EU is recommending that the UK’s exit will transition between March 2019 to 31 December 2020. Furthermore, any EU rules and regulatory changes adopted after March 2019 will also apply to the UK. Brexit has left manufacturers wanting answers to some difficult questions. Will Westminster step up and negotiate new trade agreements to facilitate exports for UK manufacturers? Or is now the time to start strategising for ‘going it alone’? Regardless, there’s a window now, albeit a very small one, for UK manufacturers to put some sort of next-step strategy in place over the short and long term. That includes looking for new supply chain paths and building links with new suppliers. Can there be any better export market for UK firms than Germany? It seems inconceivable that on 1 January 2021 EU-based manufacturers will instantly sever import and export relations and close the door on the UK for good, so ending four decades of an association which currently generates approximately £49.1 billion in export revenue from our shores. Furthermore, the UK manufacturing sector continues to prop-up export numbers. 2017 ended with the best three-month growth period since 2014 – in part thanks to a weaker sterling and a robust Eurozone, and an increase in orders on new product lines from non-European markets. Manufacturing output has expanded significantly over the past 17 months through the production of partly-finished goods bought by other firms to conjoin finished products. 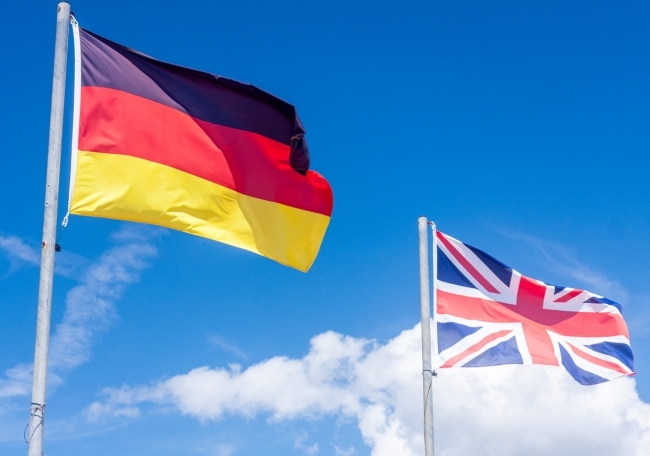 The UK might be cut adrift politically from the EU in 2021, but there are many sound practical reasons to suggest German and UK manufacturers can and will remain tight. Approximately 100,000 UK citizens call Germany home, according to the Office for National Statistics, and English is the most popular second language spoken throughout Germany. Part of the EU’s success lay through geographical proximity. Germany’s closeness to the UK will continue to make it a popular choice for international expansion and post-Brexit, a flight from London Heathrow to Munich will still take less than two hours. The country’s openness to foreign investment and a highly-developed regulatory framework makes it an attractive and highly transparent proposition for UK business. The World Bank rates Germany as the 20th easiest place in the world to do business and the 17th least corruptible and corruption perceptions index (CPI). Mark Carney, governor of the Bank of England suggested in 2017 that the UK ‘doesn’t so much as export to Europe, but through Europe’. However, in the post-Brexit era, trading across Europe will remain a relatively cheap option, and the reasons to export to Germany speak for themselves. Germany’s economy is the world’s fourth largest and accounts for more than one-fifth of the European Union’s GDP (export.gov). At the end of November 2017, 5.5 million people worked in local units of manufacturing (50 or more persons employed) in Germany (destatis.de) – a healthy number, but German business confidence is yo-yo-ing. This may force German manufacturers to open new channels to market – with UK businesses at the front of the queue. New reporting by The Munich IFO-Institute states that export expectations in Germany have fallen by 3.1 points to 16.6, according to its monthly survey of 2,700 companies. Much of this anxiety centres on Germany’s legendary car industry. Deloitte suggests that a “Hard Brexit” could endanger up to 14,000 of the 42,500 jobs in the sector. Any sales slumps will hit revenues, lead to possible job cuts and open up new supply chains. This is all speculation of course. However, public support of Germany’s manufacturing sector is at an all-time low, following 2015’s ‘diesel-gate’, when VW admitted having fitted “cheat” devices in the US to make their engines’ exhaust emissions appear more eco-efficient. Elsewhere, workers at metals and engineering companies across Germany planned all-day strikes in January and February, in a dispute over pay and benefits. More than 250 companies were due to be affected by the walkouts – one-third of these taking place in North Rhine-Westphalia, Germany’s automotive sector. Plenty of crystal ball gazing here but it’s worth re-familiarising yourself with your German client base past and present. Strict employment laws and a highly-complex tax structure demands plenty of research, but with few hard barriers to foreign trade and investment and government-sponsored incentives for new businesses, setting up links with or in Germany is still an option to be explored. Aside from language, the wider Germany business culture shares many similarities with the UK and adequate cross-cultural preparation can make a difference in fostering relations and getting meetings. In general punctuality and sticking to an agenda is paramount. As is learning how to address people by their proper title and embracing the smart dress code. Whether the post-Brexit future of UK manufacturing lies in a Scandi-style network of global bilateral and trilateral trade agreements remains to be seen. Regardless, Germany is the UK’s largest export market in Europe. Post-Brexit, Germany will of course be an important player, as UK manufacturers look to export and establish themselves around the world.